Cruising as a family has never been more exciting! With Splash Academy for children from 3 years up to 12 years, featuring activities such as arts and crafts, circus school, team building challenges, sports and family activities, to video games, the little people in your life are sure never to be bored! For children aged 13 years upwards to 17 years, Entourage offers a chilled area, featuring popular video games, various sports and themed events and pool parties. Staterooms are offered for families, and are slightly bigger in size, ranging from Family Inside, Family Oceanview, Family Balcony, and Family Mini Suites. Many of the Family balcony staterooms interconnect, so larger families can be together. Many of the family staterooms are located with convenience in mind, close to the pool deck, and the on board youth and teen facilities. Guppies Programme, is specifically for babies and toddlers from the age of 6 months, and under 3 years, and operates open play and hosted activities for both babies and parents, this available throughout the fleet. Staterooms on board Norwegian Cruise Line ships, is spacious and comfortable, with staterooms available for every budget. Solo travellers have the option of a single studio, which are located in a private keycard access complex, and have no single supplements, although these are not available throughout the fleet. If you choose a private balcony, then opt for a Mini Suite or Balcony Stateroom, featuring a comfortable seating area, storage is plentiful. Oceanview and Inside staterooms offer all the space you need, whilst not comprising on service levels. Luxury is plentiful in a Haven Suite, private and sumptuous retreats are a feature throughout the fleet, offering a generous sized suite with a welcome bottle of bubbly. Special services include butler and concierge service, special suite menus for breakfast, a cocktail party with the ships officers, and priority embarkation and disembarkation. Studios for solo guests. Available on Norwegian Getaway, Norwegian Breakaway, Norwegian Epic, Norwegian Escape, Norwegian Bliss and Pride of America. Studios are designed and priced for solo travellers, which also include exclusive access to the Studio Lounge. Norwegian Cruise Line offers freedom and flexibility throughout with offers to suit everybody! Gratuities and tips are also now included within the All Inclusive Package. Norwegian’s Just Cruise fares will be made available on a selection of sailings. Staterooms will be allocated on a guarantee basis, and stateroom numbers will be allocated on final cruise documents. 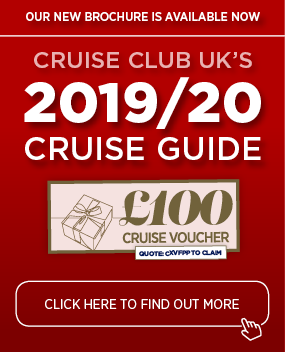 The benefits of this include, the best available cruise fare at the time of booking, award winning facilities and a wide selection of amazing dining options, and service charges. The option to upgrade to the Premium All Inclusive is available, which will then offer savings of more than £1200.00 per stateroom! 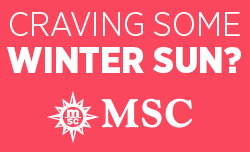 If you are looking for some quality winter sun, take a look at our best selling offer! Premium All Inclusive Canary Islands cruise. Sailing aboard the popular Norwegian Spirit. Launched in 1998, and refurbished in 2011 and 2017, comparable to new ships within the cruise industry, she is a medium sized ship, with a guest capacity of 2018 guests. She boasts 15 dining options, 12 bars and lounges. Fares are leading in from £929.00 per person (based on 4th January 2018) including Return UK to Barcelona flights, Premium All Inclusive Beverage Package and tips!